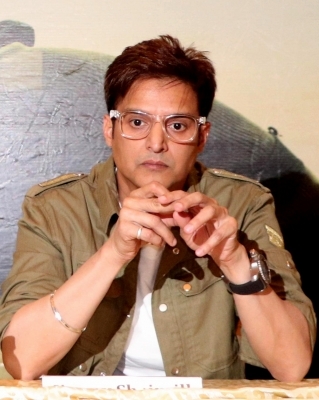 Mumbai July 13 (IANS) Actor Jimmy Sheirgill who will soon be seen in "Saheb Biwi Aur Gangster 3" says he is inclined towards playing difficult and challenging characters on-screen. "I am always interested in characters that are much layered and difficult to play. So even though someone comes to me with the main lead it has happened in the past that I opted for a smaller role in that same film because as an actor I can contribute more to make that part interesting " Jimmy told IANS. The actor is known for his work in films like "Mohabbatein" "Munna Bhai M.B.B.S." "Bas Ek Pal" "Mukkabaaz" "Tanu Weds Manu" and "Special 26". Having started his career in 1996 with "Maachis" he has worked with filmmakers like Gulzar Tigmanshu Dhulia Aditya Chopra and Rajkumar Hirani among many others. "I learnt from Aanand L. Rai how to go out of my comfort zone. I usually act very subtly but in Tanu Weds Manu he pushed me to go loud in a few scenes of my character. I think that has given me a certain confidence to try things differently " said the actor. Gulzar taught him the importance of continuing to work. "Gulzar saab said that never make the success or failure of a film as your destiny. Every film has its own destiny and as an actor my job is to give my best without thinking about hit or flop... Because if the film works I will party and go to work the next day. "If the film fails even then I have to work to continue my journey. So working continuously is more important than anything else " Jimmy said. On working with Dhulia who has directed "Saheb Biwi Aur Gangster 3" -- releasing on July 27 -- he said: "One day Tigmanshu told a junior actor We work hard to write these lines dialogues... Don t just blabber it own them to say them . It just got stuck in my head and every time I read my lines I always try to make it my own so that it doesn t sound like written by someone." Born as Jasjit Singh Gill the actor shared the story behind his name Jimmy. "That s actually my nickname. During the shooting of my first film because people on the film set used to call me Jimmy in media interviews journalists also started writing that name. Though my name in Maachis is credited as Jasjit Singh Gill. "From Mohabbatein in fact Adi (Aditya Chopra) suggested that I should keep the name Jimmy to avoid confusion and I was totally okay with it." The actor maintains a balance between Hindi and Punjabi cinema. He is fascinated to observe how the Punjabi film industry where nothing more than comedy used to make business in the mainstream is venturing out in different genres successfully. "I think some of the new filmmakers are really making a difference. Whether it is films like Dharti Shareek and Daana Paani things are changing and I am happy about it. There have always been films that we called arthouse cinema. The difference between these two was very visible in our Punjabi films. "With Daana Paani staying in the theatre for more than three weeks earning money is a sign of how the new-age filmmakers are finding the ground of art and commerce in Punjabi cinema " said Jimmy.